Radiator Filler Necks - Products - Aashirvad Auto Tech (Guj.) P. Ltd.
* Micro 41 mm Dia. * Mini 43 mm Dia. * Small 57 mm Dia. * Medium 68.5 mm Dia. 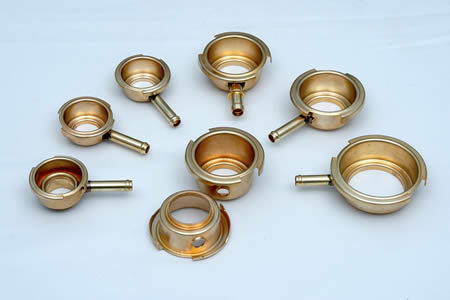 * Brass thickness as per customer's requirement. * Overflow pipe dia. and length as per customer's requirement.